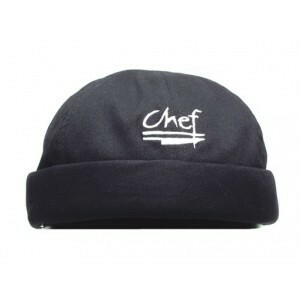 Use the Chef Revival H060BK Cotton Black Chef Beanie to complete your staff's casual foodservice uniform. Designed with an elastic head band, this cap ensures a secure and comfortable fit over the ears. Thanks to its100% cotton fabric, this cap is breathable, easy to clean, and will withstand heavy duty use.